Who would have thought the joy of Sabbath could get any better? 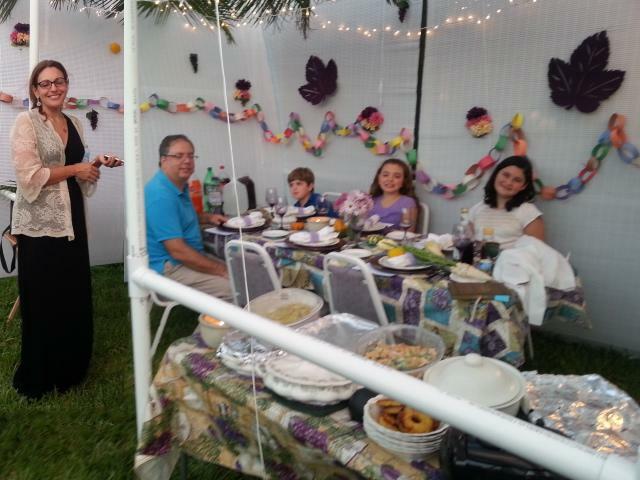 But under a sukkah, with good friends, the joy is multiplied! 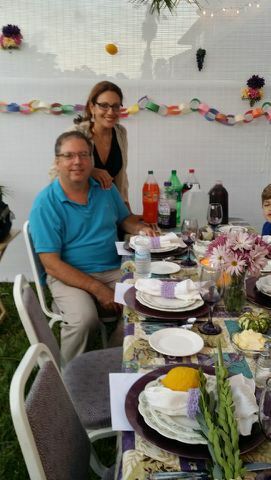 Angelina and I were joined on Friday night by the Seiger family. 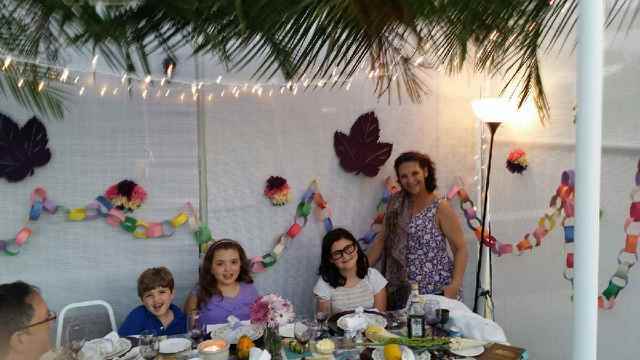 As previously mentioned, I asked guests to bring a decoration for the sukkah, because they are not guests but family. 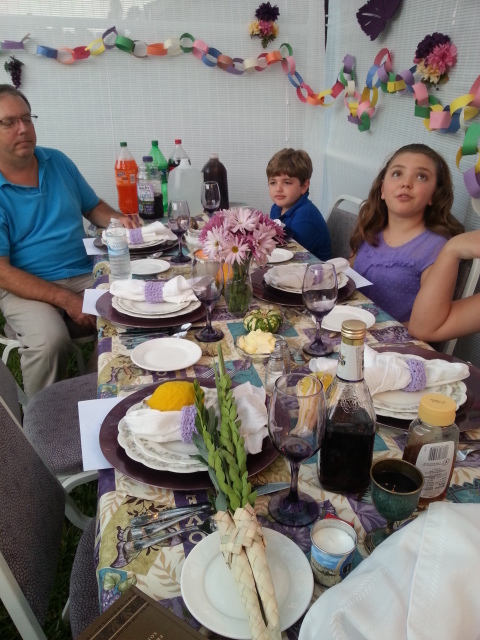 So this sukkah is as much theirs as it is ours. 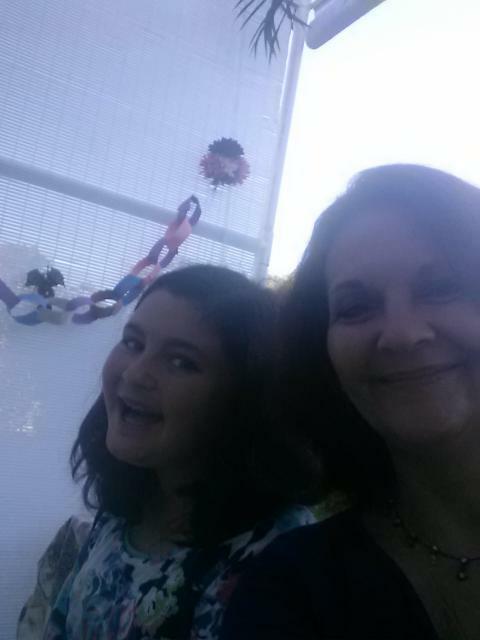 The children brought a traditional paper chain which added so much wonderful color to this temporary home. And Lisa brought along some magnificent food to add to the Sabbath feast prepared. It was the perfect addition! The wonder on the the children’s faces speaks volumes! We were so blessed by Andy and Lisa and their children! 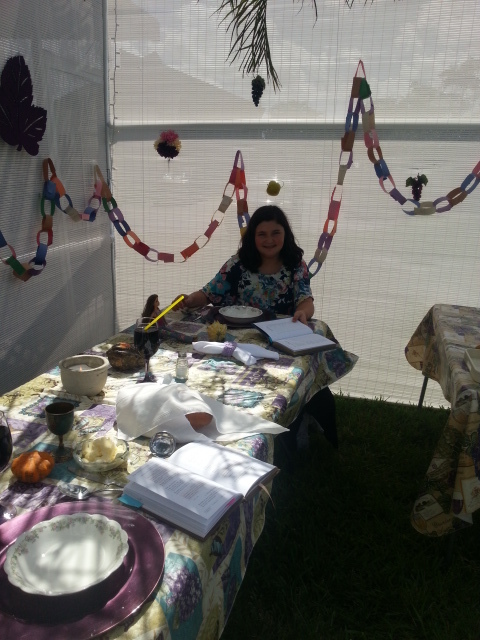 Sabbath morning was quiet, but the joy was no less palpable as Lina and I enjoyed our time together in the sukkah. 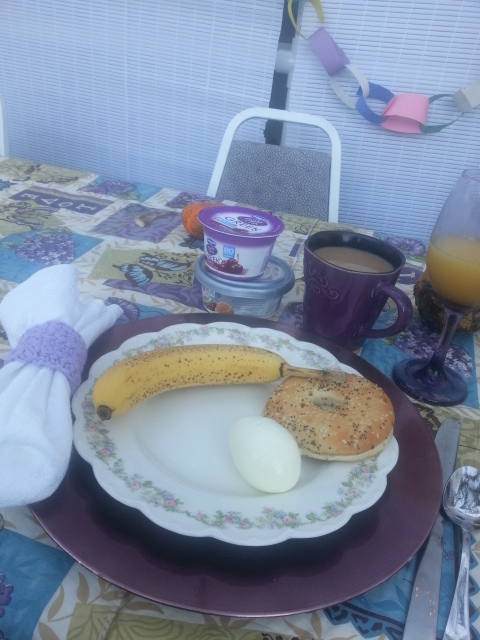 A simple breakfast is so special when enjoyed on the Lord’s day under a sukkah. 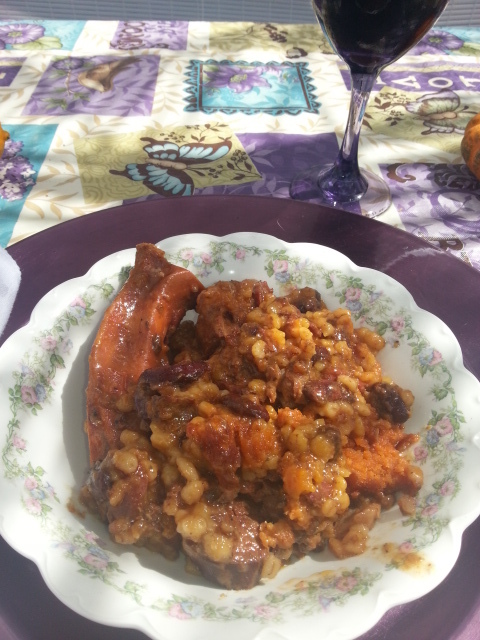 After a wonderful morning at Temple Aron haKodesh, we came home to a pot full of Jaime Geller’s Family Heirloom Cholent. In this case, a photo cannot convey the wonderful aroma nor the taste that has your mouth singing! An afternoon nap was just the right thing after a great time of worship and good food. 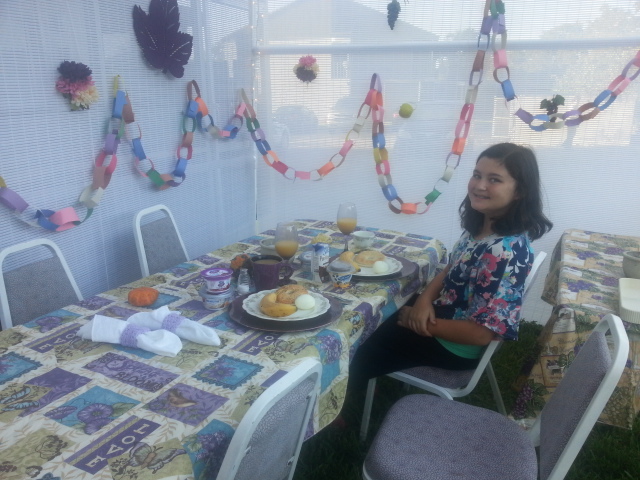 Have you ever built a sukkah? Or maybe joined someone under theirs? I’d love to hear about your experience.